Whelan, Janna. "MuchMusic". 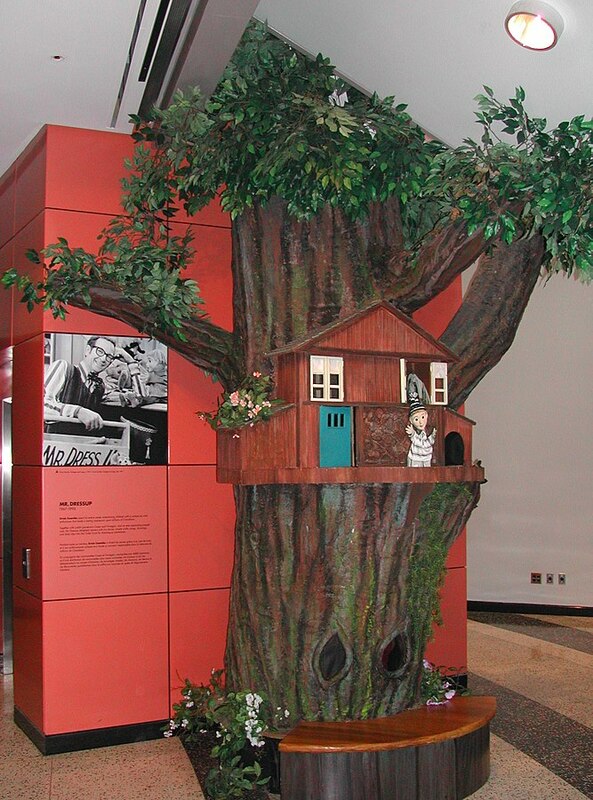 The Canadian Encyclopedia, 21 March 2017, Historica Canada. https://www.thecanadianencyclopedia.ca/en/article/muchmusic-emc. Accessed 20 April 2019. MuchMusic. "The nation's music station." A specialty TV channel largely devoted to music videos, it was established in 1984 by producer John Martin (b Manchester 15 May 1948, d Toronto 23 Feb 2006) and Moses Znaimer of CITY-TV, Toronto, in turn owned by CHUM Ltd.
As seen on the historic Queen Street West building, circa 2009 (photo by David Tross). A specialty TV channel largely devoted to music videos, "the nation's music station" was established in 1984 by producer John Martin (b Manchester 15 May 1948, d Toronto 23 Feb 2006) and Moses Znaimer of CITY-TV, Toronto, in turn owned by CHUM Ltd. CITY-TV had previously included music video and reportage shows (eg, "The New Music") in its regular programming. Using CITY-TV facilities, MuchMusic went on air 31 Aug 1984 with Znaimer as president and executive producer, and Martin as director of music programming. Initially a pay-TV channel, it became a part of basic Canadian cable service in 1989, reaching some 5 million households. Like the US MTV channel before it, MuchMusic adapted a Top 40 radio format to TV, with on-camera "VJs" serving the function of DJs. In addition to a playlist of pop videos in a heavy, medium, and light rotation that changes from week to week, the station has presented daily segments or weekly shows devoted to country music, heavy metal, R&B, rap, punk, and indie rock. Programming also has included studio and concert performances, interviews, and music and arts news coverage. The rise of online videos has meant that reality TV, entertainment news, and feature films have increasingly become mainstays of MuchMusic programming. MuchMusic's French-language counterpart, MusiquePlus, established in Montreal with Znaimer as executive producer and Pierre Marchand as director of programming, went on air 2 Sep 1986. Employing a similar format, MusiquePlus has been seen in Quebec (where through a partnership in 1988 with Radio Mutuel it was added to basic cable service, reaching 1.5 million households) and on some cable networks elsewhere in Canada. Together MuchMusic and MusiquePlus assumed a central role in the dissemination and development of popular music in Canada. MusiquePlus's sister station, MusiMax, a French-language adult music channel, was launched in 1997. In 1984 MuchMusic established VideoFACT (FACT: Foundation to Assist Canadian Talent), renamed MuchFACT in 2009, to provide funding for the production of both English and French music videos. In its first 10 years 820 videos were made with $6 million of VideoFACT support. A similar initiative, PromoFACT, was launched in 1998 to support the creation of websites and electronic press kits. Digital music videos were funded by PromoFACT beginning in 2009. 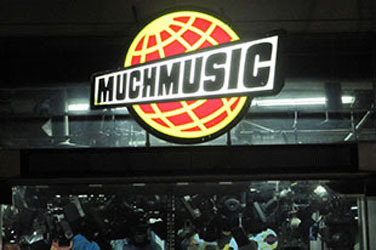 In 1987 MuchMusic, together with Sky Channel of London, organized the first World Music Video Awards, transmitted live via satellite to five continents; a second show in 1989 reached an audience estimated at 750 million in 45 countries. In 1990 MuchMusic introduced its own annual Canadian Music Video Awards (renamed the MuchMusic Video Awards in 1995). MuchMusic launched the cable channel MuchMoreMusic on 1 Oct 1998 to reach a more mature audience. The station focused on contemporary pop, classic rock, soul, reggae, and jazz. Subsequent specialty stations have included MuchLOUD (heavy metal, punk, rap, and alternative music), MuchVibe (rap, R&B, and reggae), MuchMoreRetro (music of the 1980s and 90s), and PunchMuch (an all-request music video channel). MuchMusic programming has been available in the United States, Mexico, Argentina, Columbia, Finland, Spain, Malaysia, Singapore, and the Czech Republic. See also: Toronto Feature: 299 Queen Street West. MuchMusic ClipsCheck out a variety of vintage MuchMusic material on this YouTube channel.